Yes, there is now a special day to recognize taking ‘selfies’. Just like you might any day, simply take your smartphone out of your pocket or purse, and take a selfie. Better yet, get a couple friends, and take a selfie with them. Of course, with a group of friends that might be a ‘groupie’. Make sure to put on as big smile. And, don’t forget to post it on Facebook. Selfies are extremely popular today. Millions of them are taken each and every day. It kind of makes you wonder why we need a special day to encourage us to take a selfie. 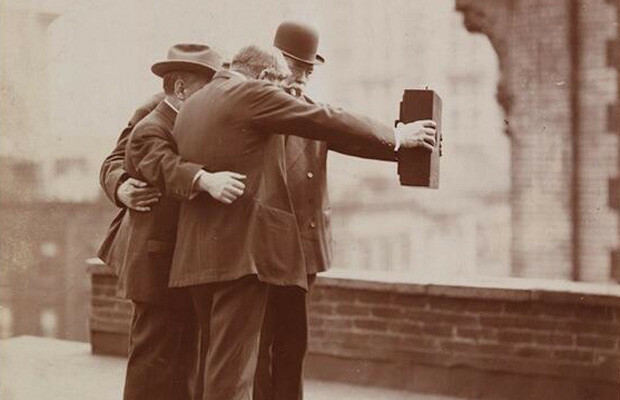 Plus you might now even image it, but selfies have been done for decades by our ancestors. In actuality, selfies were around for a long, long time, they just weren’t called “selfies”. Back in the day of film based cameras, some cameras had a delay feature on the camera. You could set the camera up on a table or tripod, aim it, and press the delay button (usually ten seconds). Then, you had to run to where the camera was aimed and pose. They were not called selfies. 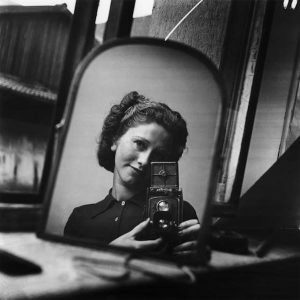 Although, some people referred to them as “self-portraits”. 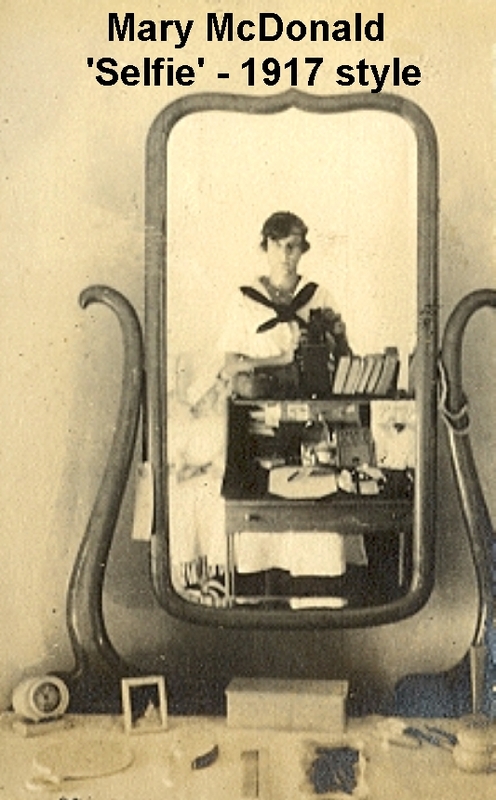 Another method used by our ancestors was to stand in front of a full-length mirror. True, you see the camera but also the ancestor. 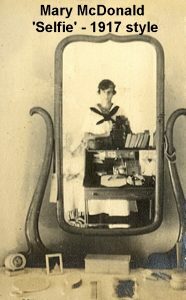 You might have seen a vintage print photo and just didn’t realize it was really a ‘self-portrait with using the delay feature on the camera or the ancestor was standing in front of a mirror. Go over your family photos and do check the slides and negatives, you could uncover a vintage ‘selfie’. Who Knew?? 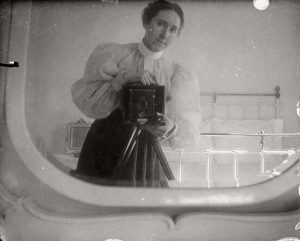 Photos: Mary McDonald of Stuart, FL with a photo taken looking into a mirror about 1917; a selfie using a small mirror taken in 1935; a group selfie in 1920 and a self-portrait with the camera in front in 1880.